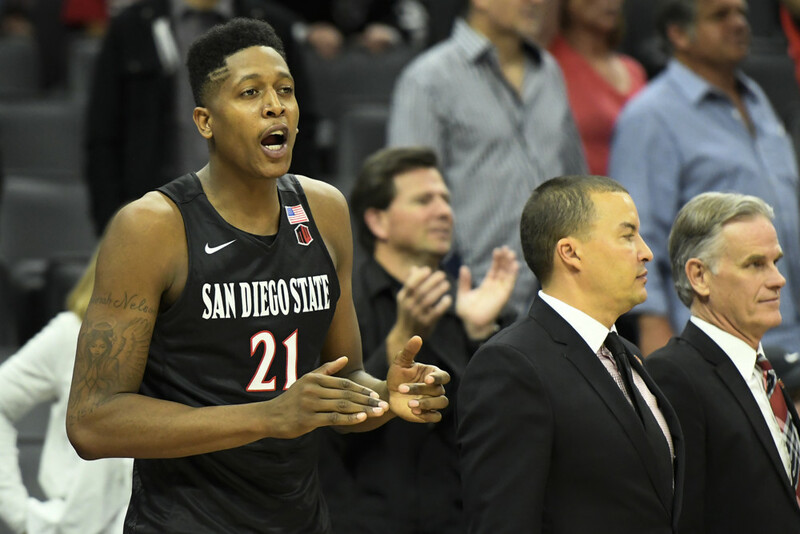 San Diego State University senior forward Malik Pope allegedly received an improper loan from a sports agency sometime before Dec. 31, 2015, according to a report Friday citing documents filed by federal prosecutors in a nationwide college basketball corruption case. Yahoo Sports reported the alleged improper benefit, citing court documents the outlet obtained that are part of a federal criminal case against corruption in the National Collegiate Athletic Association that already swept up former Aztec player and coach Tony Bland. The new documents published by Yahoo Sports show a wide-ranging and growing scandal that now implicates many of college basketball’s top players, coaches and universities. The story was based on expense reports, balance sheets, banks records and a list of cash advances that federal investigators apparently obtained from prominent former NBA agent Andy Miller, his agency, ASM Sports, and his former associate Christian Dawkins. Miller and Dawkins are central to the corruption investigation and are charged with paying bribes and other improper benefits to players, their families, coaches and others in an attempt to gain influence. SDSU’s Pope was not named specifically in the Yahoo Sports story, but his name appeared on the list of players who allegedly received a cash advance from Miller, an NBA agent at the time. According to that list, Pope received $1,400 sometime before the end of 2015. The alleged loan was one of about 30 such payments made to college basketball players by ASM Sports, according to the leaked balance sheet. Pope’s alleged loan was larger than about 10 other such payments but paled in comparison to the largest loan, which was allegedly made for more than $52,000 to Jarell Martin, a forward for the NBA’s Memphis Grizzlies who played for Louisiana State University at the time. 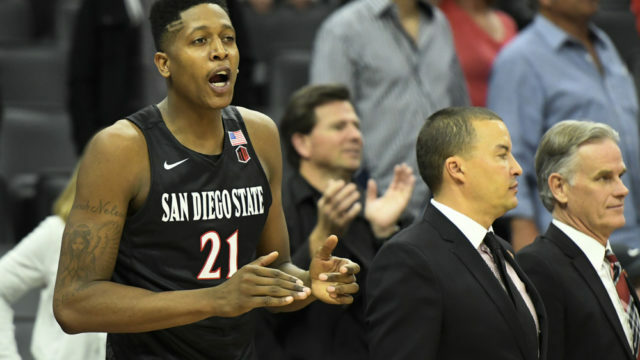 Pope enrolled at SDSU in the fall of 2014, arriving on campus as the most heralded and highly rated recruit in the history of the Aztecs’ basketball program. Some pundits thought he would play only his freshman year before leaving for the NBA, but injuries have plagued the talented 6-foot-10-inch forward for much of his career. A sports information director from SDSU did not immediately respond to a request for comment Friday. It is unclear how or if the Yahoo Sports report will impact Pope’s eligibility, as the documents cited and published by Yahoo Sports are sealed in federal court and unavailable to SDSU and others who are not parties to the lawsuit. The Aztecs have just three regular-season games remaining this season, plus at least one game at the Mountain West Conference Tournament in Las Vegas next month.